This popular bed and breakfast outside of Dominical has 4 cabinas, a main house, a restaurant and bar area, a gorgeous pool, and a large building site available for additional expansion! Step into the pura vida lifestyle with a business that is already up and running! 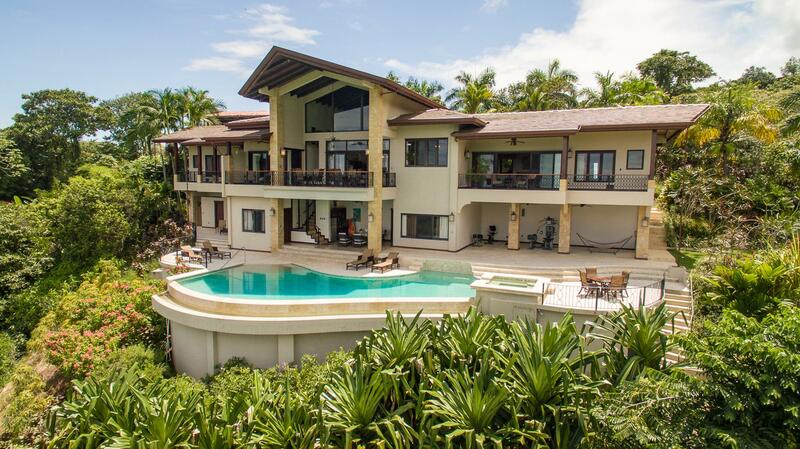 The property has four individual cabinas, each of which have gorgeous ocean and jungle views. Each cabina has a bedroom, bathroom, kitchen, and comfortable patio with seating areas. All the comforts of home in a quiet, peaceful, and secluded setting! Wildlife regularly visits the property, including monkeys, toucans, and sloths. The main house has three levels. The first level includes one bedroom, with a spiral staircase that leads to the main living area and kitchen on the second level, topped off by the master bedroom on the third level. The living area has floor-to-ceiling French doors that open up to an infinity edge overlooking the southern Pacific coast, giving stunning white-water views of the Pacific Ocean and of the jungle surrounding the property. In addition to the existing buildings, there is also a large build site available with stunning views. The site is big enough for a large house and/or additional cabinas.